Many web design and development agencies are so focused on producing the best looking, fastest websites that they forget the product also needs to be usable and what a client has asked for. We, on the other hand, pride ourselves on our personal touch and like nothing more than working with clients to produce the best result for everyone. Not only do our websites look good and load fast, they are usable and tailored according to each customer’s requirements. At PURPLENO we take our time to learn about our clients’ needs and business. 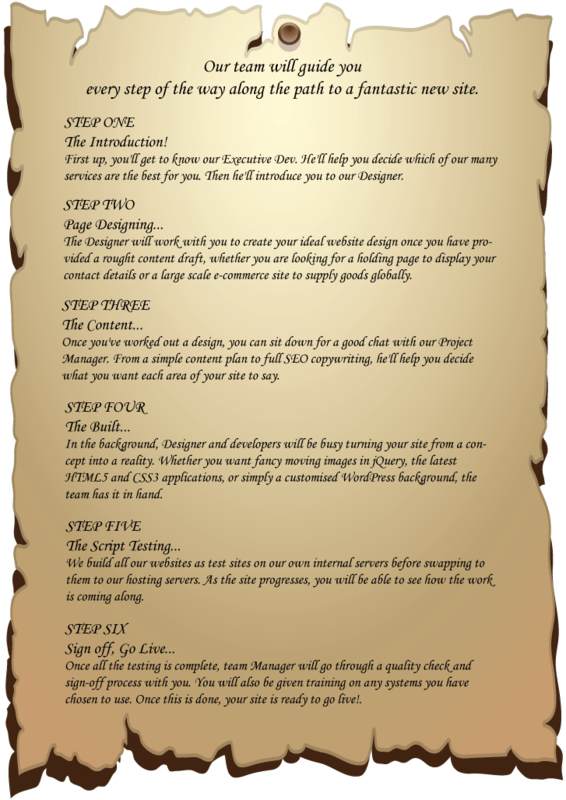 We do not presume that the client has to know all ins and outs of web design and development. That’s why we always advise our clients on the best ways to achieve what they want. We also offer several solutions to the same problem in order to let the client choose one he can afford. Thus, the first thing we offer our clients is extensive consultancy services, and we offer them for FREE. PURPLENO will asses your needs, suggest a solution and give you a quote for free and without obligations. After all the details of the project are clarified and specifications are made out, we begin with designing layout for the future site. We take care that every element of the design works to convey the main message and that nothing is left to chance; everything is carefully thought about: position of elements, images, colors, typography. Coding and programming begins only after the design is approved by the client. The client has private access to the site and can view it at any point of development. After the development is complete and the site is tested and bug-free, we upload and configure it on the client’s server. Ongoing support and maintenance is always available on request. We don’t just leave you once the site has been finished. The team will be standing by your side throughout the lifetime of your site, making sure you have all the help you need to keep things smoothly. With team systems and admin sections that have been created in-house, we can ensure that every area of your website is personalised to your specification. We can also build websites using other content management systems, such as WordPress. We really are a one stop shop. On top of all our other services, we offer domain management and registration as a Nominet tag holder and self-hosting. This means that you as the client have to deal with less people, and can be assured that our association with Nominet means we will you give you fair treatment. Our team will guide you every step of the way along the path to a fantastic new site.